Located on the edge of Toubkal National Park, this award-winning mountain hideaway was handmade by local Berger villagers and artisans, and it remains a celebration of local culture and hospitality. 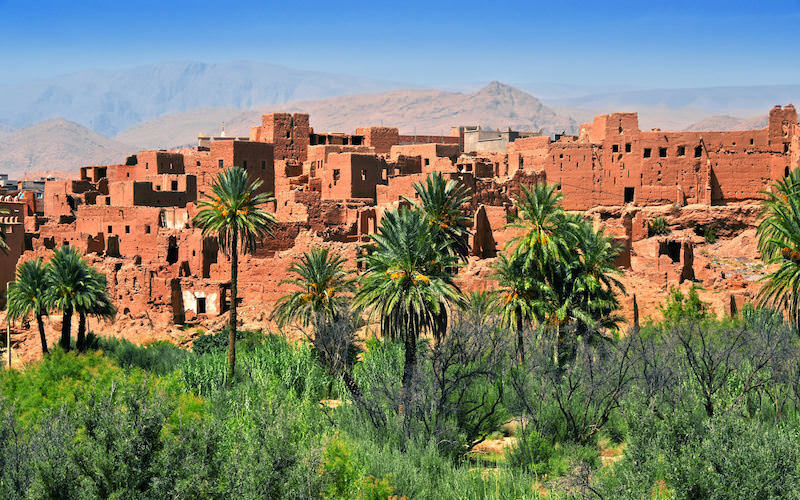 After trekking through the Atlas Mountains with a local tour guide, dine on authentic Moroccan food before spending the evening sipping tea on a rooftop terrace, gazing at panoramic mountain views and listening to the call to prayer echo through the valley. This tiny and relatively unknown town sits quietly at the foothills of the Andes. While the town itself is slightly understated, Churin’s real draw is its surprising array of hot springs, waterfalls and natural fountains. With a range of outdoor and indoor options, you can spend hours whiling the day away soaking in the medicinal properties of these natural springs. 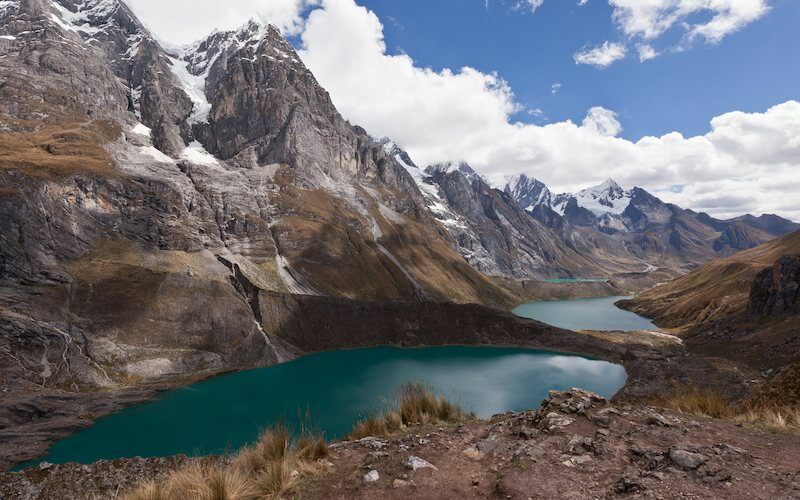 Better still, drop in while trekking the Huayhuash Circuit – said to be one of the most spectacular treks in the world, passing by a range of turquoise lakes with views from high altitudes. While Australia isn’t exactly known for its mountains, the country still boasts an expansive mountain range stretching more than 2,200 miles across three states as the third-longest land range in the world. Sandwiched between two states is Blue Mountain National Park and the little town of Blackheath. 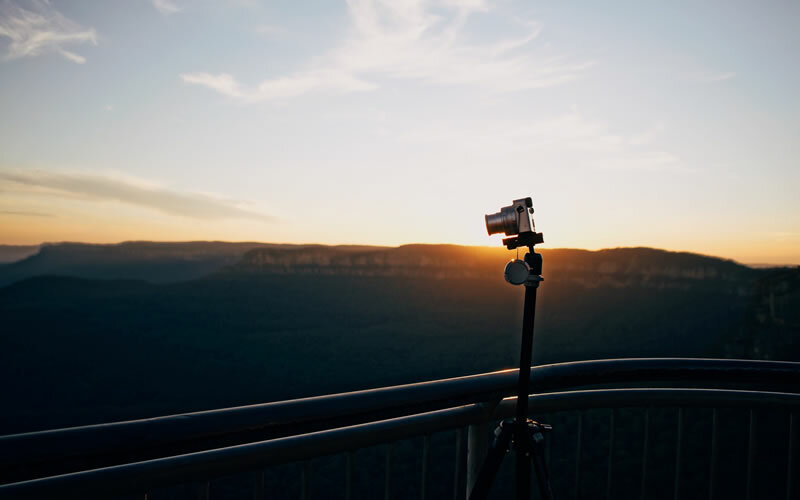 Sightseers will usually venture to the Blue Mountains with touristy Katoomba as the penultimate destination, but traveling 10 minutes further to Blackheath reveals pine tree-lined streets, artisan galleries and cafes and breathtaking views of the national park from Govetts Leap. With a range of high-end B&Bs, hotels and cottages, Blackheath is the perfect spot to escape the crowds and unwind. 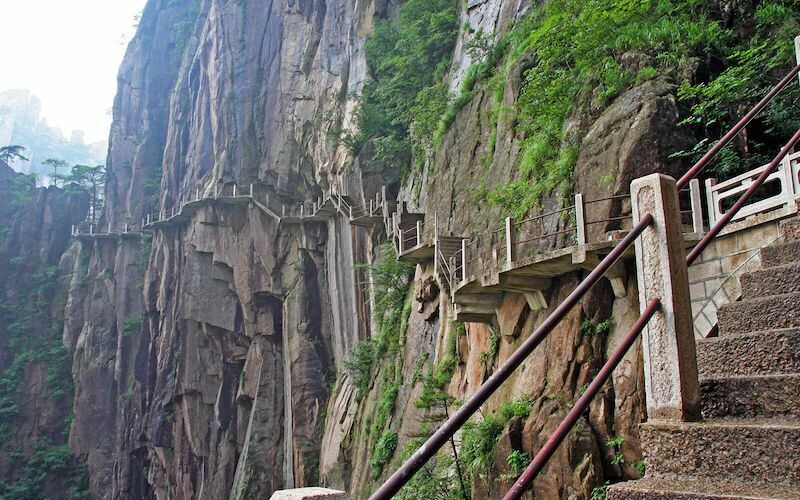 Known in English as ‘Yellow Mountain, ’ Huangshan is a range of jagged granite mountains with uniquely twisted pine trees and a summit that ascends through the clouds. While Mount Haungshan is possibly the most popular tourist attraction in China, don’t let that deter you – the UNESCO World Heritage site is so spectacular, it’s the subject of various traditional Chinese poems and paintings. Spend the day riding cable cars or doing one of the many hikes offered in the area before heading back to your hotel on the mountain where you can wake up each morning and gaze at a sea of clouds. The medieval city of Brasov (pronounced ‘Brashov’) lies in the heart of Transylvania surrounded by the Romanian Carpathian Mountains. While the city itself is a bit of a tourist hot spot due to its historical synonymy with Dracula, its mountain location means respite from the crowds is never far away. 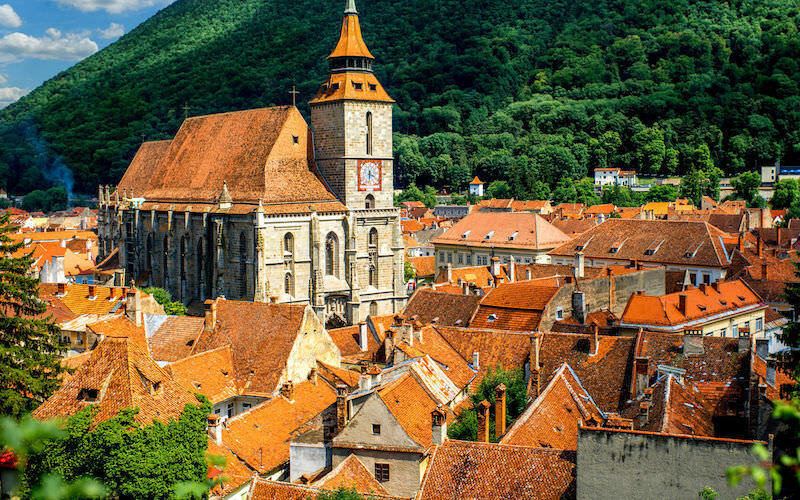 In fact, with a slue of gothic-style black churches, cobbled streets and baroque steeples to marvel at, you’ll hardly notice anyone at all – Brasov looks just like something out of a fairytale. The city is also a launch pad for a range of hikes offering the chance to see wildlife, ancient ruins and birds-eye views of the medieval city. 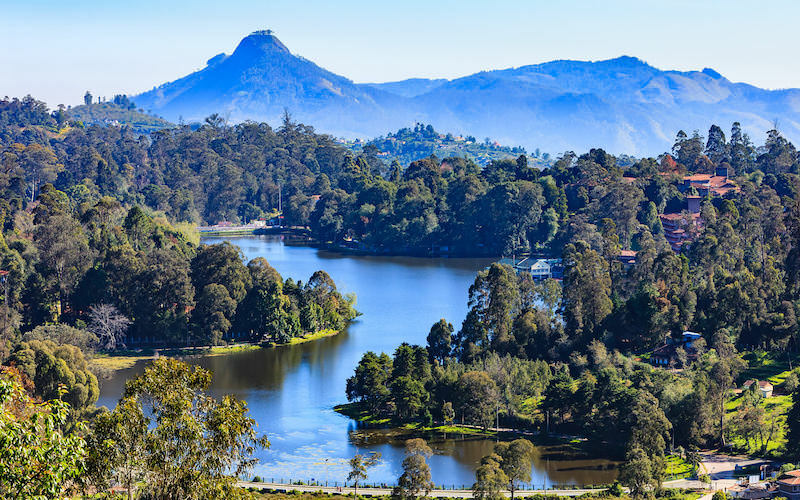 Kodaikanal is said to be one of the finest hill stations in India, and with stunning views of rolling hills, lakes, forests and waterfalls, it’s easy to understand why. While the town sits in the perennially warm southern state of Tamil Nadu, Kodaikanal is elevated enough to act as a cool respite from the intense heat of the villages below. Though temperatures can drop significantly after sunset, the days are typically clear and perfect for exploring the many shops, cafes and natural wonders as sunshine washes over the region. Situated on the north coast of Madeira Island, Santana is the historical and picturesque town of stone houses and thatched roofs at the base of Pico Ruivo – the highest peak in Portugal. 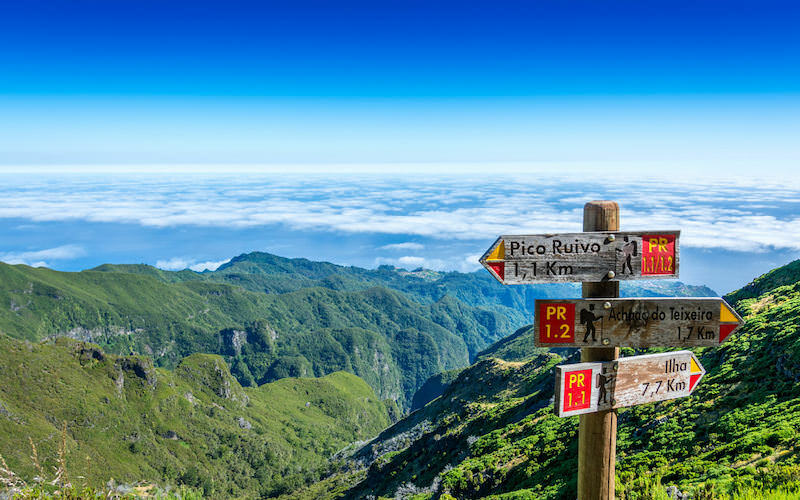 A hike up Pico Ruivo is a bit of a challenge with some steep inclines, but the summit is a jaw-dropping spectacle with panoramic views over the entire island. On a clear day, you’ll see the surrounding municipalities, extinct volcanoes, blue coast lines and vibrant Jurassic Park-style cliffs. But cloudy days are where the magic happens as you’ll find yourself staring at the Earth’s curvature over a carpet of clouds. The Canadian Rocky Mountains are spectacular, but there are many other mountain ranges in this very large country that are possibly just as beautiful with a fraction of the tourists. Strathcona Provincial Park is one of them. 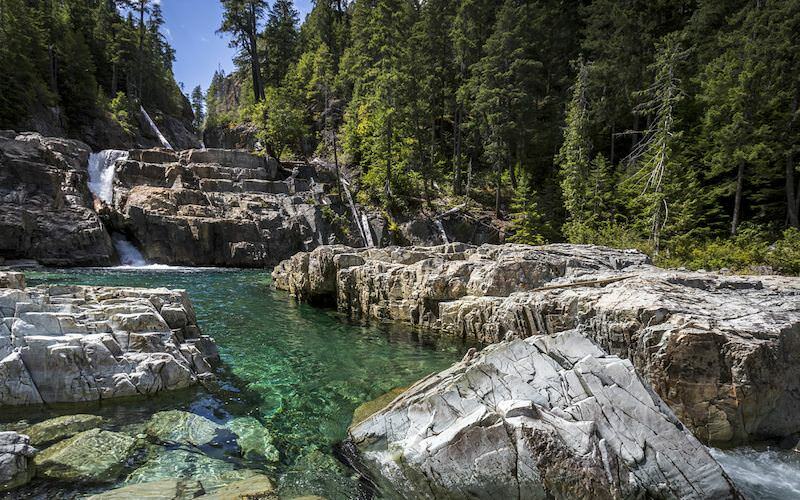 Labelled as an official provincial park in 1911, Strathcona Park is the oldest in British Columbia and comprises rugged mountains that dominate central Vancouver Island. While hotels are few and far between in this area, a host of largely untouched glaciers, waterfalls, snowfields, lakes, forests, snowy peaks and wildlife means hiking and camping is the best way to experience this underrated part of Canada. 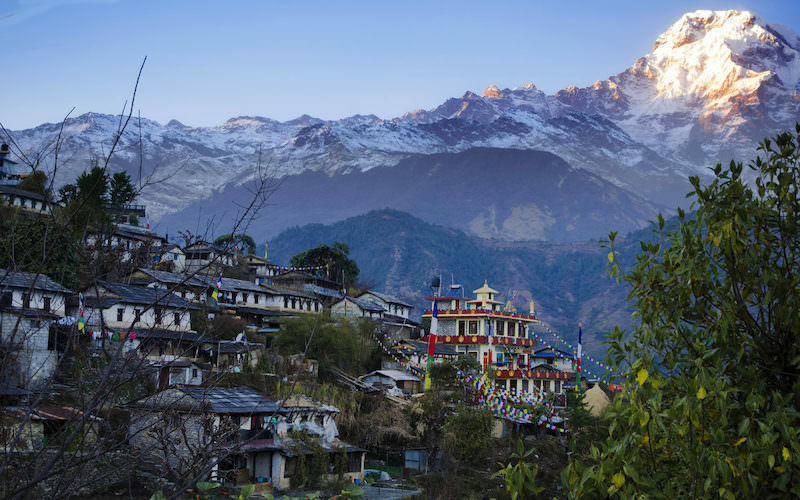 Famous for views of the Himalayas, Nargarkot is a quiet little mountain town located an hour or two from Kathmandu. It’s adorned with prayer flags, local artisan shops, cafes and several hotels with balcony views directly facing the world-famous mountain range. While the summits are close by, timing is everything. Thick clouds tend to block the view for months at a time, so your best bet is planning a trip between October and December, or March and April. On a clear day, Nargarkot has some of the most accessible views of Mount Everest. 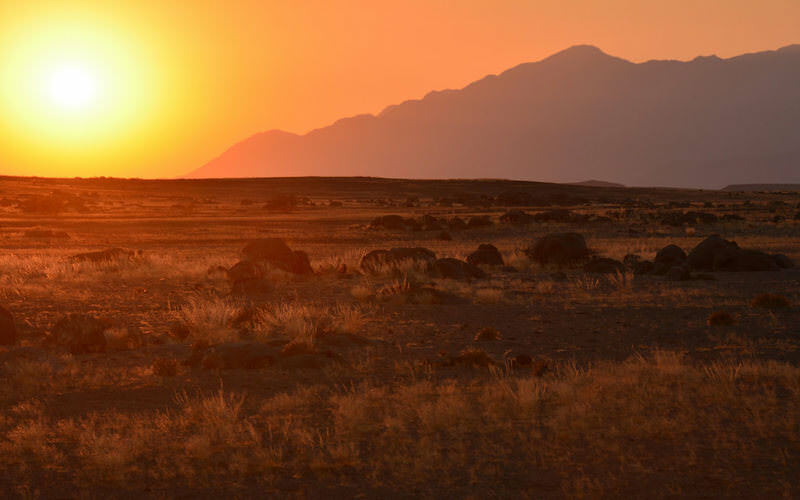 While the African nation of Namibia is famous for its unique red desert coastlines hitting the blue Atlantic, most travelers skip the dry and arid Brandberg Range which sits inland off the west coast. Needless to say, it’s a trip for serious hikers. ‘Brandberg’ is German for ‘Fire Mountain’ and, given its surroundings, it’s easy to see how it got its name. While it’s possible to do the hike in two days, many Brandberg alumni recommend you do it in three. Take time to see some of the 2,000 ancient rock paintings, and set up camp at designated sites along the way to sleep under the darkest skies in the world. Climbing permits and guides are easily obtained, and the cooler season (April to September) is the best time to go.